Introducing BESTFIT CHROME EXHAUST KITS! These Kits Are Installer-Friendly, Produced With All High Quality Components And Have A Fantastic Mirror Finish. 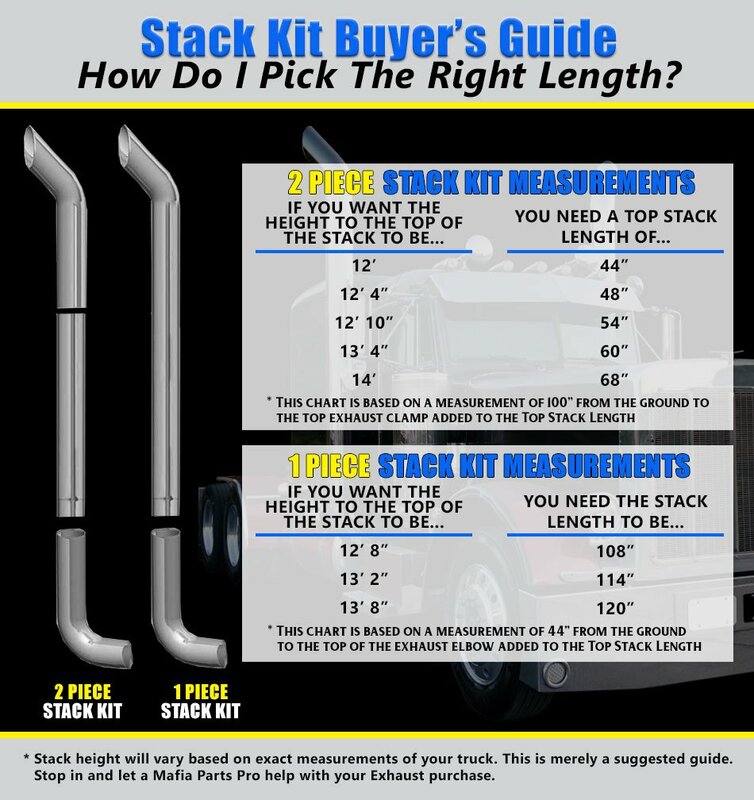 * A Kit Designed To Install Long Drop Style Elbows And Stacks On Your W900 Kenworth Aerocab. 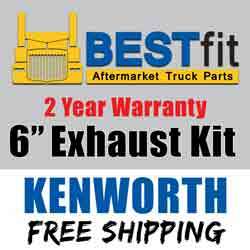 ** This Is A Basic Kit For Long Drop Elbows On A Kenworth AeroCab With 40 Inch Side Boxes Only. 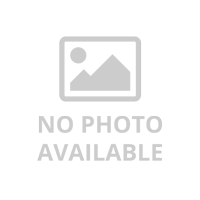 ** It Will Be Necessary To Modify Existing Exhaust Frame Brackets Or Fabricate New Brackets To Mount This Kit ( Cut, Fabricate & Weld ) There Is An Option You Can Select From The Drop Down Menu To Include Custom Frame Brackets Ready For Mounting This Stack Kit. ** The Parts Required To Hook Up The Bottom Of The Elbow To The Muffler Or Mufflers Will Have To Be Purchased Separately, Not Included In Exhaust Kit. 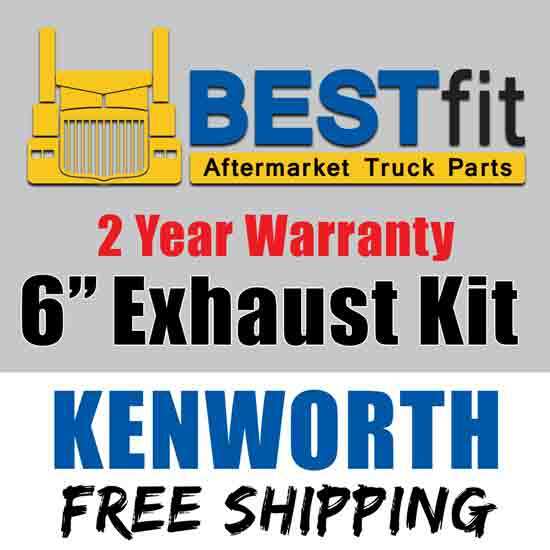 * Fits Kenworth AeroCab With 40 Inch Side Boxes Only.